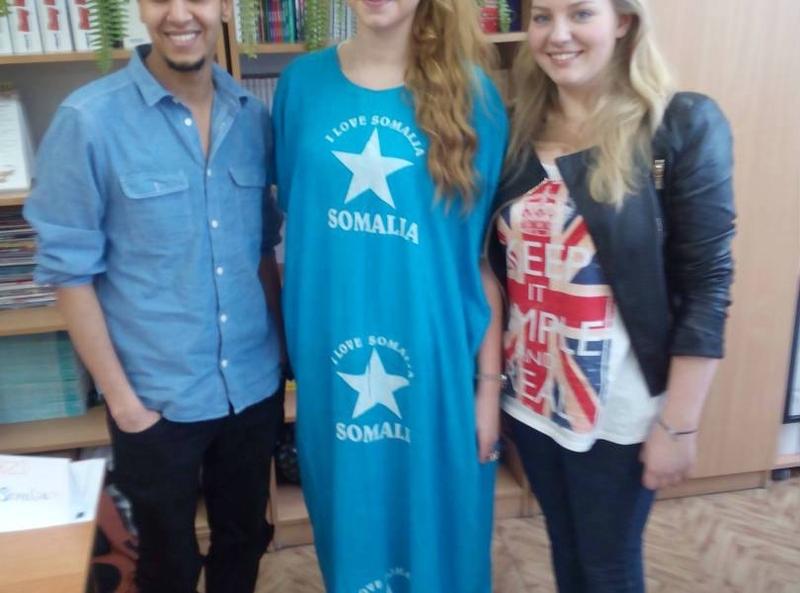 Migrant leaders from the Foundation for Somalia on 27 February 2015 met with school students in Łuków: Tadeusz Kosciuszko 1st High School and Pope John Paul II 4th High School. 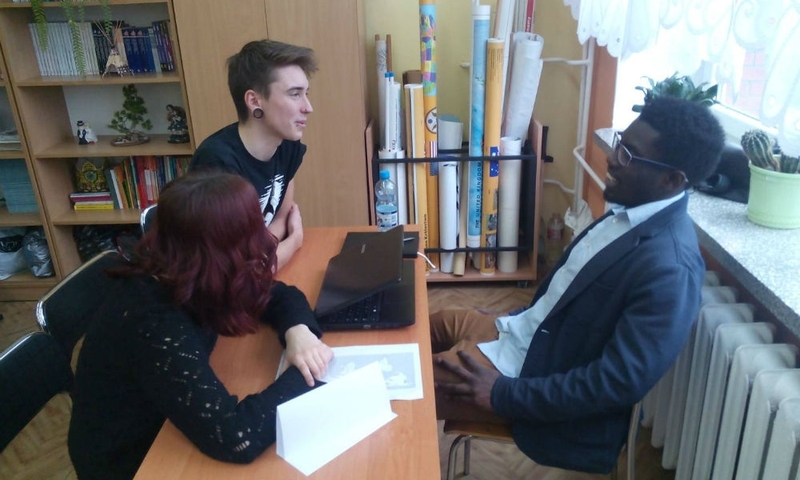 Such meetings are a great opportunity for students to confront their ideas about foreigners and their countries of origin, with reliable information from first hand. We believe that learning is not only gaining additional knowledge, but also benefiting from the ability to make the intercultural dialogue. The meeting took place in the form of so-called “Living library”: our leaders have played the role of e-books to borrow, the students had to ask us questions – says Samir Saadi, a leader in the FDS. We decided to somewhat modify this classic formula. We also have been asking questions to our interlocutors. We asked about what they think of foreigners living in Poland, whether they think that foreigners take away the jobs of Poles, or whether they see racism in Polish public and social life. Students enchanted us with their positive attitude, thoughtful and mature thoughts on issues related to foreigners in Poland-could imagine what obstacles must often overcome a foreigner wishing to live in this country.